It’s easy to breeze through life and take it for granted until you are given reason not to. In fact it’s more than easy, it’s an absolute pleasure. Not a shred of me wishes I’d taken more time to appreciate the life I had before my wife was killed. I was so busy enjoying my time on Earth that I fear that I might have missed out if I’d spent time over-thinking it. One thing I guess I never really paid any special attention to, however, was just how loving, caring, giving and talented so many of our friends are. Each one of them has offered, or kindly given, support in one way or another since my wife died too. But I decided some weeks ago that I didn’t want to try to squeeze a square peg into a round hole when it came to the type of help friends could provide. If someone is crap in the kitchen, ain’t no point in asking them to bake you a pie. Instead I started to think how wonderful it would be if, as friends, we could come together to support one another by sharing our own individual skills and talents. I soon realised how lucky I was to have such a diverse set to hand. And that there was nothing we couldn’t achieve together if we tried. So I thought about all the people I have the pleasure of calling friends and family and realised that as well as being exceptional human beings they were also writers, designers, cooks, chefs, joiners, builders, singers, musicians, DJs, fashion designers, performers, dancers, event managers, financiers, accountants, PR professionals (loads of them), marketers, promoters, recruiters, vicars, teachers, personal trainers, yoga instructors, therapists, doctors, surgeons, dentists, hygienists, anaesthetists, radiographers, nurses, psychologists, chemists, carers, artists, fundraisers, travel agents, estate agents, civil servants, public servants, solicitors, makeup artists, hair dressers, stylists, photographers, set designers, jewellery designers, illustrators, tailors, seamstresses, interior designers, gardeners, parrot whisperers, sales people, journalists, editors, broadcasters, producers, directors, publishers, agents, you name it. I also realised that I could ask any of them to help in any way at any time and they would be there. But day-to-day, I’m quite a self sufficient chap and I tend to accept domestic and child-focused help from only my most immediate family. Possibly because I’ve been well house trained by my parents and my wife. Possibly because my family (on both sides) are already a tower of strength and support. So rather than ask a lawyer to iron my shirts (as much as I’d love to just for the sheer indulgence of it), I figured that their expertise could be better applied. I reasoned that if they could utilise their own knowledge of the law on my behalf, they could feel better about the type of support they could offer, thus making each other feel a little bit better during such a tough time. I’d also like to think that, as friends, we can put what the author Paulo Coelho would call The Favour Bank into practice. I want our friends to enjoy the help they give. I want them to feel good about it. I want it to be a pleasure rather than a chore. I want us to have something to show for it above and beyond thanks and hugs. And I’d like to think that the energy that they give to me now will be returned one day by me when they need it most. That’s the nature of The Favour Bank (even if its name may sound a touch cynical in times like this, it’s the spirit of it that I’ve long held dear). I’ve said this a number of times before but I also want my son to have treasures to hold onto as his grows up without his mum. I need him to understand the significance of the people in our lives without him feeling like I am simply spinning another fairy tale whose characters he can’t identity with. So about a month ago I chatted to an old friend, Paul Hand, who has really shown himself since my wife died. Geography separates us but it has felt like he has been around just as much as those who live nearby. I never wasted my time appreciating the relationship I had with him before my wife died because we were way too busy partying in Ibiza, winning TV cookery shows (yes, really! ), doing stupid impressions of ageing Welsh celebrities, laughing and just generally enjoying ourselves. There’s an awful lot to be said for that kind of shallow fun, but as people we tend to find depth in one another in the most trying times. In him, aside from being a great friend, I found a man who could really write and produce music. In me he found a man who likes to put his pen to good use. 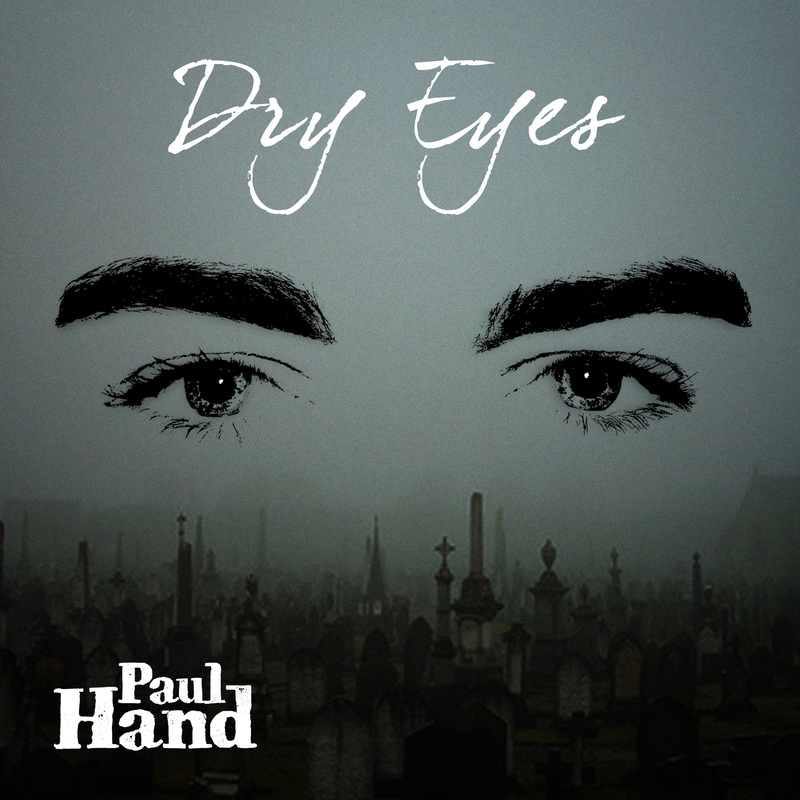 So together we have collaborated to write, produce and record an autobiographical song called Dry Eyes, which Paul performs in its entirety. It’ll be available from Monday 29th April on iTunes and Amazon (I’ll follow up nearer the time with more details). In the spirit of collaboration and putting the talents of friends to good use, I also co-designed the artwork (see below) for the track with my friend Emma Sexton. Both the song and the artwork evoke a painful story of loss and the conflicting feelings of strength and weakness in grief. Sadly for my family and friends, it’s our story. But far from wanting to indulge, I hope some people can find solace and empathy in the music and lyrics. Thanks to all my friends and family for your continued support and for banking on me and Jackson. I know none of you are looking for it but, when the time comes, I intend to pay you all back with interest. I recently lost my my wife due to complications resulting from cancer, the depth of my grief is profound one and I live my life one hour a time these days. I was blessed to find your blog and read your touching stories which resonate with me in a profound way. Thank you for having up the strength and courage to share your story. 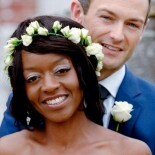 This entry was posted on April 13, 2013 by Ben Brooks-Dutton and tagged Amazon, children, composition, daddy, design, Desreen Brooks, Dry Eyes, Emma Sexton, grief, iTunes, life as a widower, lifeasawidower, male grief, Paul Hand, singer, song, widower.